With its focus on high-quality, peer-reviewed curricula, MedEdPORTAL® can support educators training the next generation of physicians and other health professionals. As the new editor-in-chief of MedEdPORTAL®, I have the privilege of promoting educational scholarship as the ultimate outcome for teaching activities. MedEdPORTAL is a peer-reviewed publication that allows medical educators to take their curricular products and transform them into scholarly works. In addition, it serves as a repository for high-quality educational resources that can support the training of health professionals. Every day outstanding materials that have the power to relay new knowledge, influence behavior, and inspire learners cross my desk. 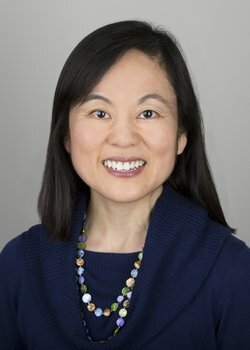 On the other side of the spectrum is my role as director of a medical education fellowship and a co-director of an academy of medical educators. In these faculty development responsibilities, I am surrounded by naturally gifted teachers. These colleagues have an enviable set of communication skills, charisma, enthusiasm, and expertise in an important content area, and they are popular with their learners. But how can the academic medicine community help these talented educators take their teaching to another level? And how do I help transform their teaching into generalizable work that can be repurposed without leaving the energy, creativity and evidence base behind? How do we bridge the gap? My own teaching has been heavily influenced by the framework developed by the Carnegie Foundation that focuses on the scholarship of teaching and learning, which is defined by a systematic exploration of teaching and learning and results in a form that is made public, open for critique, and available to others to build upon. 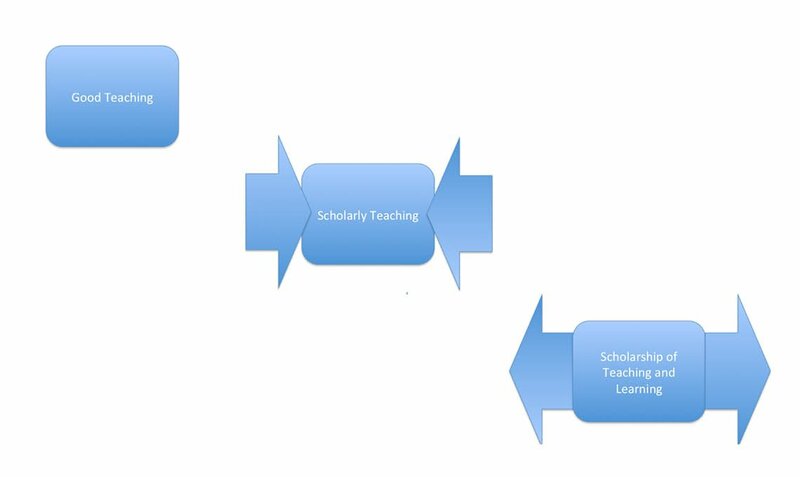 Their model distinguishes between "mere" teaching and the scholarship of teaching and learning as a progression from good teaching to scholarly teaching to the scholarship of teaching. At its foundation, there is good teaching: teaching that is intentional, objectives driven, and learner centered. I frequently witness this type of teaching and try to use it myself. But good teaching can be limiting if teachers bring only their own experiences and ideas to the teaching setting. Scholarly teaching differs from good teaching by bringing not only evidence about content but also bringing to the classroom what is happening in the world beyond it. Scholarly teaching employs innovative strategies and is intellectually informed by research evidence and disseminated best practices. MedEdPORTAL's goals are twofold and intertwined—educational scholarship, achieved through rigorous peer review of educational materials, and dissemination of high-quality resources. The final step in the evolution of teaching into the scholarship of teaching and learning occurs when the teacher investigates what is going on inside and outside the classroom, consciously reflects on it, and shares it in a format that can be critiqued and disseminated to the world. In 1990 the American educator Ernest Boyer proposed that the scholarship of teaching and learning was equal to the traditional scholarship of discovery. The acknowledgement was not immediate, and it has taken some time for schools of medicine and other health professions and their faculty to respond, whether through rewarding faculty for teaching activities or through formal promotion tracks for teachers. When the shift did occur, the academic medicine community borrowed heavily from the biomedical paradigm in an effort to treat education as a science. As a result, medical education research has increased in rigor, breadth, and depth. But the biomedical approach can only go so far as a model for educational scholarship in medical education. An undue emphasis on methodology and results in the biomedical model may leave educators searching not only for scientific findings but also for the concrete work products of teaching. Enter MedEdPORTAL, the brainchild of my predecessor, Chris Candler, MD, EdD. MedEdPORTAL's goals are twofold and intertwined—educational scholarship, achieved through rigorous peer review of educational materials, and dissemination of high-quality resources. These goals meet the needs of educators seeking a venue to publish teaching activities that reflect the tenets of Q2Engage—excellence in quality, quantity, and evidence of engagement with the educational community. Finally, MedEdPORTAL provides a clearinghouse for high-quality curricula. Publications such as MedEdPORTAL allow educators to benefit from taking a closer look at how other educators have implemented their curricula. The material is presented systematically, putting the onus on the author to describe the work in a way so others can use it. I think of it as "Methods and More": not just methods so that others can appreciate the quality of the curricular approach, but also “more”—lessons learned from experience and recommendations for the next iteration. Furthermore, the evaluation of students is aligned with the learning objectives. In the contemporary era, where busy faculty are constrained by clinical and professional workload demands, MedEdPORTAL has an opportunity to lead the way. Our teachers work at the interface of goals and reality, and the key to helping academic medicine faculty become better educators will be finding ways to share curricula that have been proven to work and make them universal for other users. Educational Scholarship: How Do We Define and Acknowledge It?